Alex lives again! and all that cow. To me, this is truly an inspired performance by Tom Hollander. Of course I had read the book and seen the movie more than once. However, Alex had never felt as real as he does in this audio book. I even found myself respecting him as a person, even though he was doing horrible things. He was smart, intelligent and never betrayed his ideas. These are all things that, in another context, we would highly value. The fact that law enforcement did even worse things than he did, was more obvious too. The whole idea of choice and the importance of choice were much more clearly brought out here as well. All of this, to me, because Alex became a fully fleshed out person because of this reading. Thank you Tom Hollander. Listen to the sample and see if you agree. Note: I had no idea about the edited and shortened version of the book being released here in the US. That is what the movie was made from. So I was very glad to find out this is the full version. 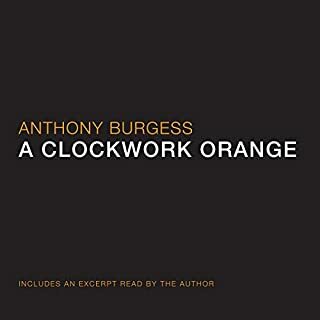 It also contains a forward and selected chapters read by Anthony Burgess. A modern classic and a wonderful reading. 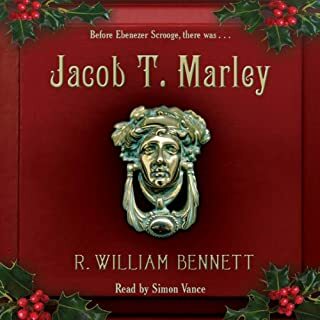 Would you consider the audio edition of Jacob T. Marley to be better than the print version? I feel that there is no point in comparing an audiobook with the print version in that way. They each have their merits. I greatly enjoyed this reading. What was one of the most memorable moments of Jacob T. Marley? I don't want to give spoilers. There were many memorable moments. Especially well told were the emotions of Marley. Simon Vance did a superb job of helping to bring these characters to life. I know I say this a lot in my reviews. 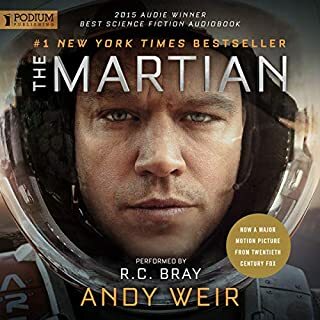 But one of the things I appreciate about audiobooks is that the skills of the proper narrator can really make the characters more real and the story more absorbing. They should not act out the book or be overly dramatic, like in a play. Rather give that bit of distinction between characters that we need since we don't have the benefit of punctuation. Similar to what we (or I anyway) do when we are reading. They also can help you realize an accent, or way of speaking that you might not know or have put in yourself. Simon Vance definitely did that. Scrooge & Marley. Both have a story to tell. R. William Bennett did not use Dickens' story telling style. And yet he told a story that, I believe, fits right in with the one that Dickens told. You really could intertwine them both together and come up with one story. I really liked that. I also really liked that, even though it was a moral story, there wasn't a lot of moralizing or pontificating. Marley was able to question his fate and the way things are done much as Scrooge did. A very personal story intimately told. I have revisited this story many times over the years. The intimate, personal and real way the story is told always affects me. What the main character goes through, personally, always gets to me. It draws me in to the point that I still wonder what will happen next. As if that weren't enough, Robertson Dean's narration is completely superb. Spot on. I often listen to audio books while doing house work. But, not since hearing Simon Prebble narrate The Island of Dr. Moreau have I found myself crouched down in front of the speaker, just listening to the story and watching it unfold in my imagination...my housework forgotten. Holmes, Watson et al are so alive under Fry! I have only listened to the first two stories (A Study in Scarlet and The Sign of Four). However I can already tell you that Stephen Fry's reading makes the characters and stories leap out and take on new life for me. I am not a dyed in the wool Holmes fan by any means. I have enjoyed some stories in movies as well as through iconic readers and reading them myself, over the years. I have never felt, though, like Holmes was a real person. Holmes almost seemed like a caricature, to me, of a &quot;consulting detective&quot;. He seemed like a person that just pulled a dubious string of conclusions out of a chain of facts that were real enough, but improbable. Whether that was due to poor script writing or me not understanding, I don't know. What I do know, is that Stephen Fry changed all that for me. Each character sounds different and very real. He uses all the verbal clues that Doyle gives (like &quot;he chuckled&quot; or whispered or whatever) to make the dialogue feel right. Being an actor, maybe he is used to doing that when reading scripts. In the introduction, Stephen Fry talks about how much these stories mean/t to him. So, maybe that is also part of why he does so well. 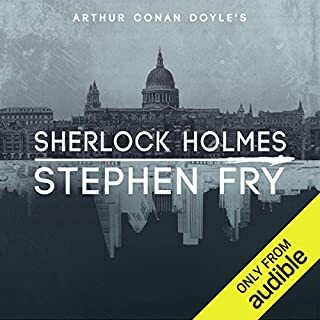 At any rate, the bottom line is this: If you like Holmes and you like Fry, then I don't see how you could not like this wonderful reading. Listen to the sample and see if you aren't hooked too. I had no plans to buy this collection until I heard that. Dr. Watson also plays a much more important role than I realized before. The ancient city burns and a thief named Omari leads the survivors into uncharted desert to a legendary place he doesn't believe exists. 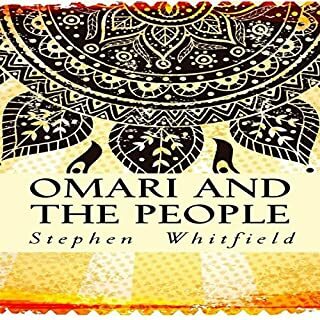 As the caravan struggles with nature and treachery, Omari must decide between love and the people's survival in this romantic tale of adventure, destiny and desert magic. I enjoyed this book in the same way you might enjoy an afternoon matinee. -It is a good story and a good adventure, vividly told. -The elements and issues of the story were interesting enough that they stayed with me after I finished it. -The characters also were interesting and believable. However the narrator, Curt Simmons, really brought this story to life. I think I enjoyed his narration, accents, characters and inflections more than if I had read this book first. Now, if I read a part of it, I only hear him in my mind. One tip: There are several names that are similar sounding. So, just pay extra attention until you are used to hearing them and know the characters. Not confusing as long as you do that. Read this book to survive on Mars! [spoilers] When Mark first found Pathfinder and succeeded in contacting Earth. [more spoilers] Mark never gave in to despair or even considered giving up. He got extremely angry or frustrated at times, like we all do. But, he always pragmatically evaluated a situation and did his best to think of a solution. So, what moved me the most is when he succeeded at something, especially if he failed the first time. Also, Mark's descriptions of Mars (coupled with following on NASA's Mars Trek map for his journey) really moved me as well making it very real. If you have seen the movie and liked it, then I would read/listen to this book for sure. Matt Damon did a very accurate portrayal of Mark's character. However, the book is much more detailed and focuses on his survival and how he accomplished that. The movie didn't really. The movie was much more concerned with his long journey and misrepresenting the characters. If you could sum up The Island of Dr. Moreau in three words, what would they be? What was one of the most memorable moments of The Island of Dr. Moreau? [spoiler] When Prindig first came into the hut with the law giver reading the law. When Dr. Moreau was explaining his philosophy behind what he was doing. It made sense, and yet you knew how horrible and unnatural it was, like many modern medical practices. Who will decide The Law? 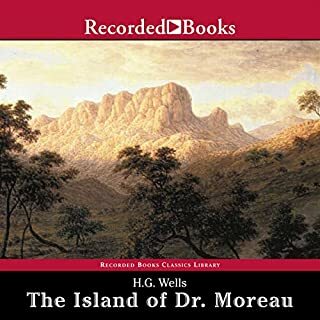 HG Wells embedded so much meaning and realism in this story that it was hard to set aside. I am still thinking about it. Simon Prebble's narration is extraordinary. He breathes even more life into each of these characters, which I love. Yet, he doesn't over act or try to dramatize the story. His presentation is just right. 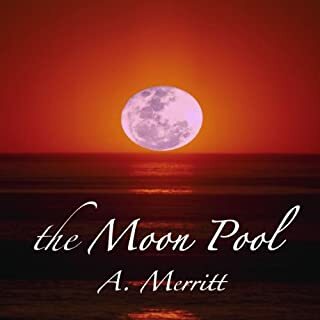 While on a scientific expedition to the South Sea Islands, Dr. David Throckmartin discovers among ancient ruins the Moon Pool, a portal into Muria, an unknown underground world. 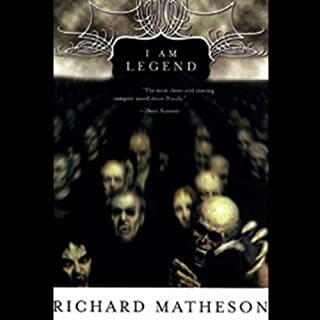 After the disappearance of Throckmartin, his wife and two companions, his old friend Dr. Walter Goodwin enters Muria with a rescue party, only to confront a fantastic subterranean world filled with incredible beings, astounding scientific advances, and the worship of the most evil of all creatures, The Shining One. A wonderful reading of this excellent adventure. The story I already knew I loved. But, this reading by Harry Shaw was exceptional. He breathed the right amount of life into the characters words. A subtly dramatic reading with enough drama to make the characters and events real. But not so much as to be overly dramatic or drawn out. Many readers forget they are reading a book and not acting out a play. Harry Shaw beautifully handles the balance between helpful inflection and overacting. I will definitely look to see what else he has read. 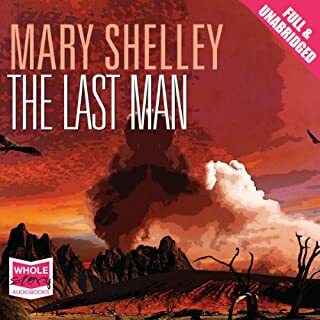 The Last Man is Mary Shelley's apocalyptic fantasy of the end of human civilisation. Set in the late 21st century, the novel unfolds a sombre and pessimistic vision of mankind confronting inevitable destruction. Interwoven with her futuristic theme, Mary Shelley incorporates idealised portraits of Shelley and Byron, yet rejects Romanticism and its faith in art and nature. A great book, with a great story. Both the story and narrator were interesting and engaging. I really cannot say to much good about this book. I know some people would see this as a long story, but I never was bored or hoping it would hurry up and get somewhere. My best advice would be just try it for yourself. I am definitely going to look for more books by Mary Shelly (Frankenstein is her only other book that I have read), and more books narrated by Matt Bates. He really brought the book alive and made it feel like I was listening to a real person tell their story. Funny, satirical and even poignant at times. Many will make the comparison between this author and Douglas Adams. Its not completely out of line. 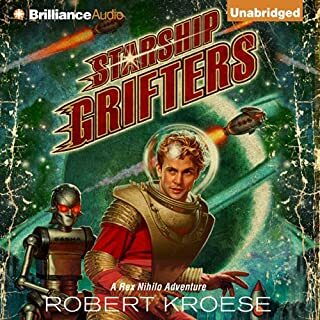 However, Starship Grifters is way more of a satire and parody than Adams work. Its also very funny. I started laughing almost right from the beginning and didn't stop until it was done. I thoroughly enjoyed this book. and hope there are more like it from this author. Kate Rudd did an outstanding, incredible job narrating this book. I normally don't care for too much characterization or acting from the narrator. However, Kate's is so spot on AND so funny that she adds an extra layer of funny to this story. I hope the author heard her and approved, because I sure do. Bottomline: If you like Science Fiction and satire, I would try this book for sure.